This item is suitable for kids pulley. climbing, lifting or cycling,etc. 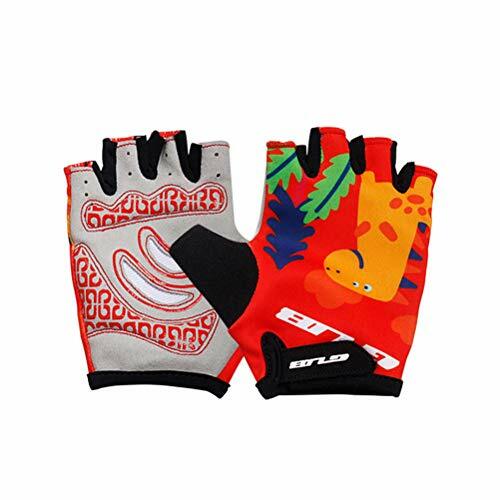 It is made of back Lycra fabric and palm super fiber fabric which is durable and reusable. It is anti-slip, breathable and comfortable for kids to wear. Super shock absorption, pain and fatigue relieving, guaranteeing cyclers' riding more relaxed and easy. - Usage: suitable for kids pulley. climbing, lifting or cycling,etc. - Made of back Lycra fabric and palm super fiber fabric which is durable and reusable. - Anti-slip, breathable and comfortable for kids to wear. - Super shock absorption, pain and fatigue relieving, guaranteeing cyclers' riding more relaxed and easy. - Magic sticker for avioding dust from entering and convinently wearing. Usage: suitable for kids pulley. climbing, lifting or cycling,etc. Made of back Lycra fabric and palm super fiber fabric which is durable and reusable. Anti-slip, breathable and comfortable for kids to wear. Super shock absorption, pain and fatigue relieving, guaranteeing cyclers' riding more relaxed and easy. Magic sticker for avioding dust from entering and convinently wearing. View More In Bouldering & Wall Equipment.
" Knee and Elbow Pads Guard Flexible Plate Protector for Climbing, Cycling, Roller Skating, Skateboard,Bmx, Tactical Military - 4Pack Khaki"